NEW ON OUR WEBSITE: Baobab Game Ranch is an owner-run and very intimate guest and game farm in the north of Namibia. 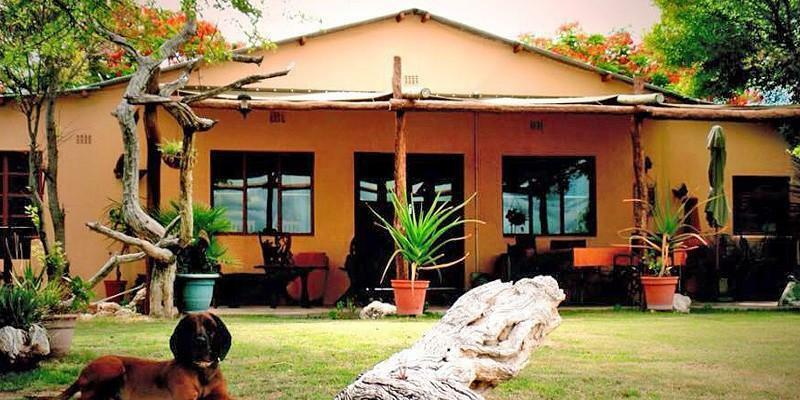 The game ranch offers accommodation in 4 comfortable rooms on a dinner, bed and breakfast base. The name of the game ranch is derived from the majestic, approximately 2000 year old Baobab found on the farm. Baobab Game Ranch is run by the Friedrich family, who have lived and worked on farm Driehoek since 1903. Here the family works together with Hai||om San. Helmut and Frank Friedrich speak the San language fluently as the grew up with them as kids. The Baobab Game Ranch is situated in the north of Namibia half way between the Etosha National Park and the Kavango capital Rundu and is thus an ideal stop over for visitors traveling from Etosha to the Okavango.